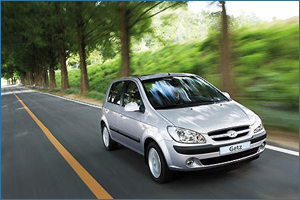 Star Rent a Car offers best hire car Gold Coast services. Whether it you need to hire a car to Tweed, Brisbane, Coolangatta, or even all the way to Byron’s Bay; we are here to help you. Our helpful staff is well trained and professional. We have an assortment of vehicle in our fleet that are well maintained and will get you to you location in comfort. Star Rent a Car services offer you a comfortable journey without the headache of public transportation system or the burden of asking friends or family. Whenever you think of travelling with your friends or family but you don’t have a car, you should hire a car in Tweed. Save the wear and tear on your car and explore places of your choice by driving with us. *Conditions Apply, please refer to our FAQ's for more information. Copyright 2007 - 2019 Star Rent A Car, Sitemap Netbiz Web Design by NetBiz Enterprises.